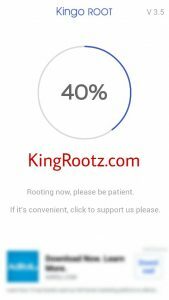 Kingo Root is the easier and faster way to root any Android device without PC. 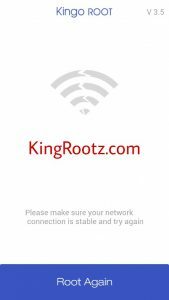 Download Kingo Root in your Android then install it to root your device. The app developer guarantee that the app has most success rate to root any Android smartphone or tablet. 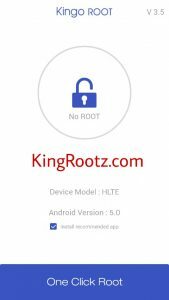 Kingo Root perfectly covers between Android 1.5 to 5.0. If you can not root your device with Kingo Root, you can download KingRoot apk which is similar to that app. 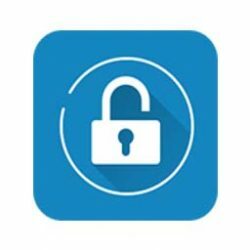 This is the fastest and easiest one click root apk for Android. Kingo Root can root Android 1.5 to 5.0 devices. The developers gurantee the highest success rate. KingoRoot developed in APK format and has best scripts inside. If you root your device, you will lose the warranty provided by the manufacturer. You can unroot your device any time. In some of the cases it has some risks. If you brick your device, our website is not responsible for that. After rooting your Smartphone you have to be careful. Is this available for my android version(6.0.1 marshmallow). Please update me. Why Can’t download of this app? kingroot available for iOS device?